Two Leos together constitute all the membership necessary to form a Mutual Admiration Society. The dues? Why, worship, of course. That’s worth more than money to the Big Cats. There are, naturally, both negative and positive types born under all twelve astrological signs. 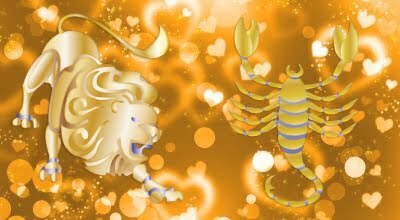 But truly, I’ve never met a Leo of either type who didn’t have that splendid Leonine ability to light up a room. 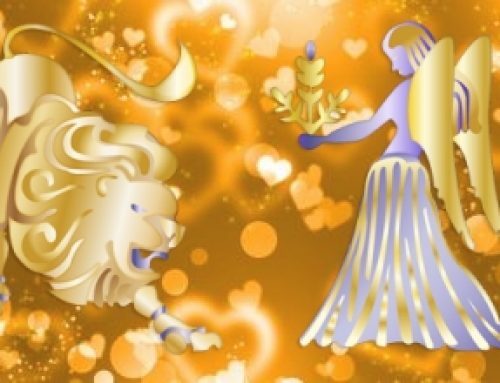 The vibration of Leo, ruled by the Sun itself, is almost tangible, a thing you can actually feel throughout your whole being in the presence of a Lion or Lioness. It’s undeniably relaxing to bask in such warmth, like lying on the beach with the solar rays beating down on your body, soaking up energy and bright sunshine. Really, haven’t you ever noticed the warmth blanketing you from those Leos you know – even when they’re behaving like spoiled monarchs, lecturing you on your shortcomings and bossing you around? Warm, loving, affectionate, playful cats and kittens are hard to resist. 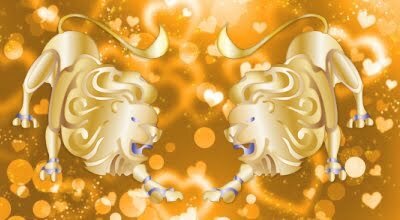 Likewise warm, loving, affectionate, playful Leos. Almost all Leos have a mysterious and magnetic attraction to cats. One of the wisest, most noble, and deserving-of-worship Leos I know often says, wistfully, “Kitties are the only good things.” My own half-wild Colorado kittens peacefully and purringly allow him to trim their toenails. They would scratch out the eyes of anyone else who tried. I guess all cats understand and trust one another, whether paired in Nature’s jungle, the shed in the backyard, or in the astrology zoo. As a team, Leos offer each other no less than they offer the rest of us fierce protection from enemies, plus an unsurpassed loyalty and devotion. These two possess between them all the necessary qualities for an enduring friendship. In fact, friendship far beyond the ordinary definition of the word is a common trait of the Big Cats, whose symbolic feline counterparts imitate the Leonine loyalty (as well as the Leonine self-sufficiency and cool dignity). Both kinds of cats are capable of heroic sacrifice and hardship in the name of friendship, love, or a sacred trust – a sort of persistent devotion that belies their reputation for snobbish superiority complexes and domineering ways. In the fifteenth century, a loyalist to the Lancastrian party, Sir Henry Wyatt, was condemned to prison by King Richard III. Somehow, a curious pussycat found her way into his dark, damp cell, and an intense friendship developed between the two. The man’s suffering from cold and hunger would have been unbearable but for the daily visits of his loyal friend, the cat, who brought along a morsel of food for him to eat as often as she could. Since cats are, by nature, comfort-loving creatures, an affectionate attachment to the prisoner was clearly her only motivation, Sir Henry’s cell being anything but a warm, cozy, inviting hearth. 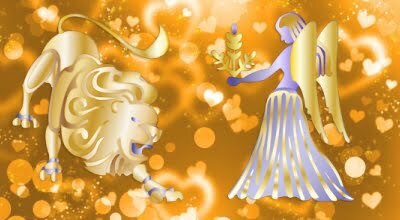 All Leos have within them the potential of such loyalty and nobility in human relationships. Time and time again, cats have been known to risk great danger and endure extreme hardship by journeying hundreds, even thousands, of miles to be reunited with loved ones from whom they were somehow separated – and the human Leonine Big Cats are capable of the same magnitude of sacrifice and persistence in reuniting with the one once loved, however seemingly insurmountable the obstacles between them may be. Despite a certain annoying air of smugness and aloof independence, the cat is a strange and marvelous creature – both kinds. If you don’t believe me, just ask one! Leo is seldom hampered by modesty or self-effacement. 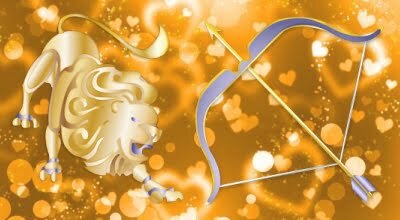 True, Leo Lions and Lionesses have other qualities not so admirable. As strong and courageous as they may be in times of trouble, they can also be insufferably arrogant and frequently blinded by false pride. Their warm natures and sunny dispositions are subject to change without notice into the sort of frozen dignity royalty assumes when a peasant dares to step out ofline and criticize the King – or Queen. A Lion or Lioness will roar an angry warning to anyone who threatens to infringe upon royalty’s right to be respected and obeyed. When these two link their lives, they’ll usually fight, pout, shout, and make up more often than any of the other 1-1 Sun Sign Patterns (except Aries). It’s a constant inward or outward battle for supremacy. They’re cozily content to purringly pal around together, they understand each other’s swollen vanities, false pride, and need to be admired. But they can’t help occasionally campaigning for the votes of the lesser animals. Alone on stage together, most of the time, they’ll consent to be equals, cementing their relationship with mutual respect. It’s when a third (or fourth, or fifth) person enters the scene that the fight for dominion and attention begins before a potential audience, which must eventually, after all, recognize just one of the Leos as the star, the other as only understudy or supporting player. 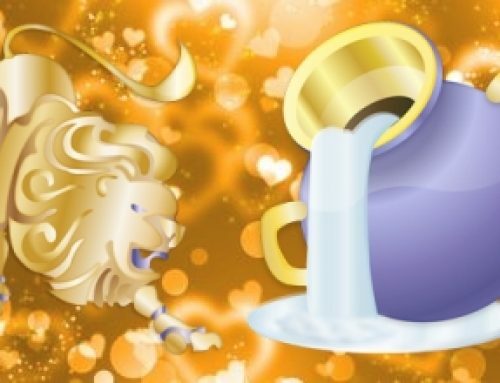 This is as true of the Shy Pussycat Leos as of the more dramatic, extroverted Lions and Lionesses, the only difference being that the former emote with fewer crashes of cymbals than the latter. All Leos must be worshiped, looked up to in some degree, and one Cat cannot truly worship another without relinquishing the scepter of power. Their destinies are not to bow down, but to be bowed down to – and, yes, Leo, I know a preposition is a poor thing to end a sentence “with” – but that’s how it is. Between themselves, as before an enthralled audience of outsiders, two Leos do everything in the grand manner. Should a Leo politician choose to run for governor ofa state, it will usually be one of the bigger states. 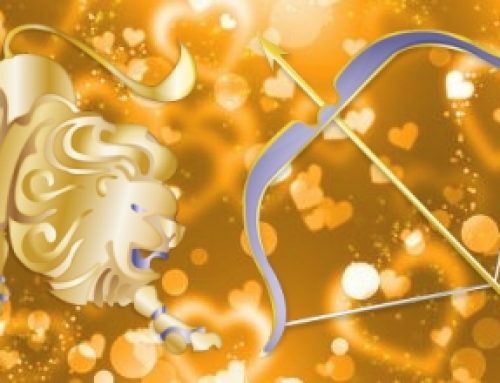 Leos give larger and more extravagant gifts, normally choose to drive larger cars, prefer to dine in the better restaurants, dream bigger dreams, and definitely possess more sizable egos than we commoners. When you see a Leo driving a VW Bug, you may safely assume that this particular Lion has managed to keep his power-trip and superiority complex under control. However, it’s still sleeping within, latent. Go ah~ad, ma~e fun of his Bug and watch those tilted-at-the-corners cat eyes narrow in warning. Shy Pussycat Leo Sydney Omarr, an indisputably competent, widely respected astrologer, wrote what I sincerely consider to be the very best guide for beginners seeking to learn how to cast a horoscope – the only book I ever recommend for this particular purpose, because of its combination of clarity and accuracy – the one every fledgling astrologer will treasure, after despairing of ever comprehending the mumbo jumbo in most others. I can honestly say that no other book teaches this art and science as well to the initiate, stressing what most beginning textbooks ignore – the urgent importance of the correct placement of the Sun in the chart, not only a must for accuracy, but the first step in the technique of birth-time rectification, without which, astrology cannot be totally reliable in either character analysis or predictive work, insofar as a complete horoscope is concerned. Obviously, I think highly of the book. Obviously, so did its Leonine author, Omarr. What did he name his helpful guide? My World of Astrology. What else? Only a Leo could choose such an all-encompassing title, insinuating the author’s royal and exclusive right of ownership of the oldest science known to Earthlings, the mother of astronomy, medicine, mathematics, and religion. Leo cannot conceive of anything over which he does not rule. 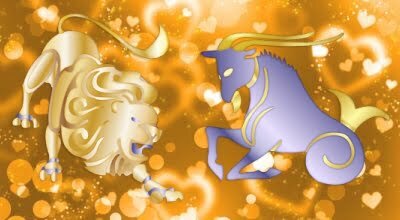 I realize I may be inviting a counterattack from Sydney, the Lion, via opening myself to a charge that the Aries ego is revealed in the title of my first book, Linda Goodman’s Sun Signs – not to mention the title of the book you’re reading – as was the Leo ego in his title, My World of Astrology. But I have a defense, you see. My title only infers personal ownership of the Sun Signs, not of the entire field of astrology, surely a more modest claim than Leo Omarr’s …. which should demonstrate that a Ram’s ego-trip doesn’t rocket as high as a Lion’s! I can hear the Big Cat roaring in outraged dignity all the way from Beverly Hills. He’s going to appear on TV and demand equal time, just wait and see. 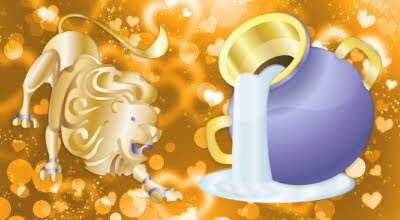 Seriously, Sydney is truly a lovable Lion, and absolutely the only astrologer I would bet on in a battle of wits with all those bigoted, astrology-hating scientists and astronomers. Sydney has proven his splendid Leonine ability for dramatic debate in such intellectual confrontation more than once, via radio, television, and lectures, brilliantly defending astrology and always winning a stunning victory. That’s the whole trouble with Leos. However much you may resent their cockiness, they usually more than deserve the respectful homage they expect and demand. I had a definite purpose for giving this illustration of Leonine vanity. 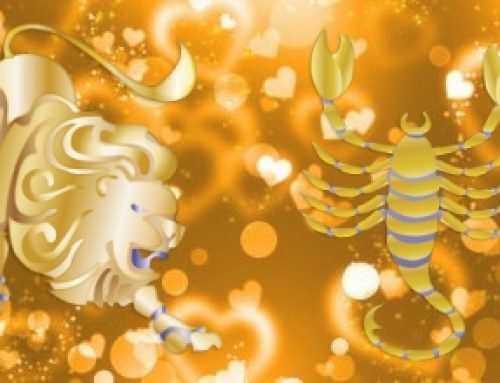 It’s a warning to all Leos who are considering a close relationship with one another, and who will, therefore, soon be unavoidably competing for star status on the stage of family living rooms, offices, or love nests. With both of them it will be MY world of – (whatever). Unless they can find a way to compromise and share the throne, calling their mutual endeavors OUR world of – (whatever), someone may have to call out the guards. The two pronouns my and our have distinctly different meanings, and that difference may well be the deciding factor of the success or failure of any joint effort between two Lions, whether business, friendship, or love. Leo Napoleon Bonaparte was as typical a Big Cat as ever stalked the political jungle on the planet Earth, a born monarch of all he surveyed, his arrogance and royal dignity clearly exhibited in oils by every painter who tried to capture his majestic mien on canvas. Like many Leos, he surrounded himself with “yes men,” who constantly bolstered his image of himself and reaffirmed his own opinion that he could do no wrong, make no mistakes – which weakness of pride, of course, led him to his inevitable Waterloo. There was never the slightest doubt who controlled either Josephine or France, until he overestimated his power, as all Leos are inclined to do at one time or another. Flamboyant and dramatic in a deceptively quiet and poised, controlled, feline manner (like many a Shy Pussycat, nevertheless proud Leo you may know), Napoleon personified his Sun Sign with each act and gesture. I have been privileged to examine a collection of valuable ancient and historical treasures at the home of my friend and editor, Dr. Charles Muses, one of these being a fabulous set of four books on the subject of Egyptian culture, which Bonaparte regally commanded to be printed after his conquest of Egypt. They reflect the Leo charisma of magnificent largesse perfectly. Bound luxuriously and extravagantly in the orange-red color of the Sun, each book measures approximately three feet in width and four and a half feet in height, hardly the kind of volumes you’d want to pick up at Walden’s or B. Dalton’s on your lunch break and tote home on the subway in the rush hour. They probably weren’t Parisian best sellers, but they were surely GRAND and HUGE and properly IMPRESSIVE. There’s no denying that most Lions and Lionesses are in many ways superior to those with whom they condescend to mingle. They’re intelligent, often handsome or beautiful, as they confidently toss their luxurious manes of hair, graceful in walk and bearing, romantically irresistible, kind and generous, wise and protective, courageous and noble, loyal and lovable. But they can make you feel like giving them an affectionate kick in the seat of their royal pants now and then when they’re pulling off one of their dignified, arrogant “The King (or Queen) can do no wrong” routines. Try to get a Leo to acknowledge a mistake. Go ahead, try – and lots of luck, Acknowledging mistakes requires humility, a virtue Leos are a little short on, to put it mildly. The reason these two manage to get along so well together surprisingly often is really quite simple. Royalty always feels more relaxed in the company of a peer than with an inferior (other Sun Signs). They understand how it is with another Lion or Lioness. They know how to feed each other the daily minimum requirement of compliments garnished with sincerity, disdaining the use of phony flattery as of no more value than costume jewelry, compared with the rare, precious gems of true appreciation. When they can afford it, they’ll give one another diamonds, never tawdry rhinestones – hardcover first editions, never cheap, unaesthetic paperback books, just as one Leo will never insult another with the plastic imitation of flattery as a substitute for genuine respect. Their mutual loyalty and devotion will be deep and intense, for their fiery natures were designed to meet one another’s challenge and demand for worthiness. Like all true monarchs, when they must deal with those of equal nobility, two Leos normally display an inbred, instinctive grasp of the delicacy of personal protocol, sensing with unerring judgment just how far one can safely go, without crossing the line into a breach of royal etiquette. Two Leos who lose control during a rash moment, and accidentally step over this invisible line with each other, will nearly always try to find a third-party scapegoat on whom to pin the blame. It’s not a good idea to hang around the castle while a couple of Leos are declaring war on each other. After they’ve called a truce, they’re likely to toss all innocent bystanders into the dungeon for inciting the revolution – and you can be certain that being frozen by icy Leonine disapproval constitutes a painful emotional imprisonment. It’s never the Kings and Queens who start wars, didn’t you know that? It’s those misguided, rabble-rousing subjects who make all the trouble (like friends, neighbors, or relatives). Naturally, in the inevitable struggle for supremacy, there will be frequent (sometimes deep) scars of wounded pride, mutually inflicted. They’ll occasionally roar at one another in anger, and have difficulty dividing the rulership of whatever fiefdom they control into equal parts. But the brilliant, warm, and forgiving benevolence of the ruling Sun shines through every Leo word and deed, causing in each a desire to at least pretend possession of sufficient nobility of character to be generous in victory, undaunted in defeat. 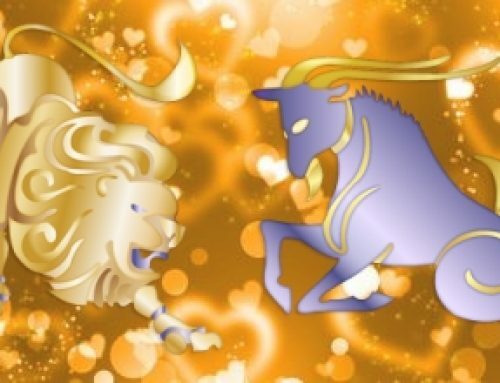 Assuming their Moon Signs are not severely incompatible, these two proud people can usually harmonize their differences, however many sharp thorns they inject into each other’s paws – for Leo rules the heart, where the Kingdom of Happiness may always be found.